It’s never easy to allow yourself to fall in love, and it is even more difficult to allow yourself to let go of a past love. The tour of the 8 time Tony Award winning show Once, directed by JohnTiffany, stopped at the Durham Performing Arts Center for a series of 8 shows from January 21st through 26th. The music, script, movements, and the unique addition of live instrumentation combine to form the standing ovation worthy show. Through the beautiful and complex music and songs of Glen Hansard and Marketa Irglova, Once becomes a beautiful love story created with an entire audience watching. True inner turmoil, of a love lost, is clearly audible through the gut-wrenching performance of Stuart Ward. His pain is balanced by the compassion and unrelenting support as performed beautifully by Dani de Waal. The words of Enda Walsh, coupled with the performances by the amazing cast, bring to life what we all have heard, have said, and remember from friends, family, and ones we have fallen in love with. 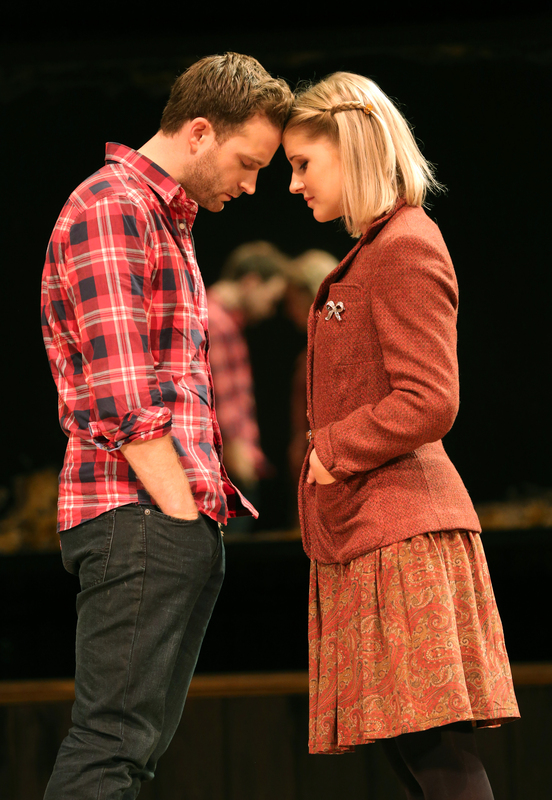 The Irish brogue, used by the majority of the cast, was beautiful to listen to. Against the norm, their use of the accent remained constant and I found it truly fascinating and awe-inspiring that all the actors were able to maintain their own individual accents even as they transitioned from spoken word to song. However, I will admit I struggled as I adjusted to the halted speech pattern of Girl, who is a young woman from the Czech Republic. The strong kinetic chemistry between Stuart (Guy) and Dani (Girl) made it easy to hope for the growing relationship of love, against the backdrop of recording an album, that could develop over just a matter of days. The interpretive movements from Steven Hoggett are a little odd, but I suppose they do illustrate the emotional struggles that Guy and Girl are experiencing. As someone who is more familiar with the traditional style of dance in Broadway productions, this also took some time to adjust to. The one element of this show that makes it truly unique is in the way the shows utilizes live instrumentation. 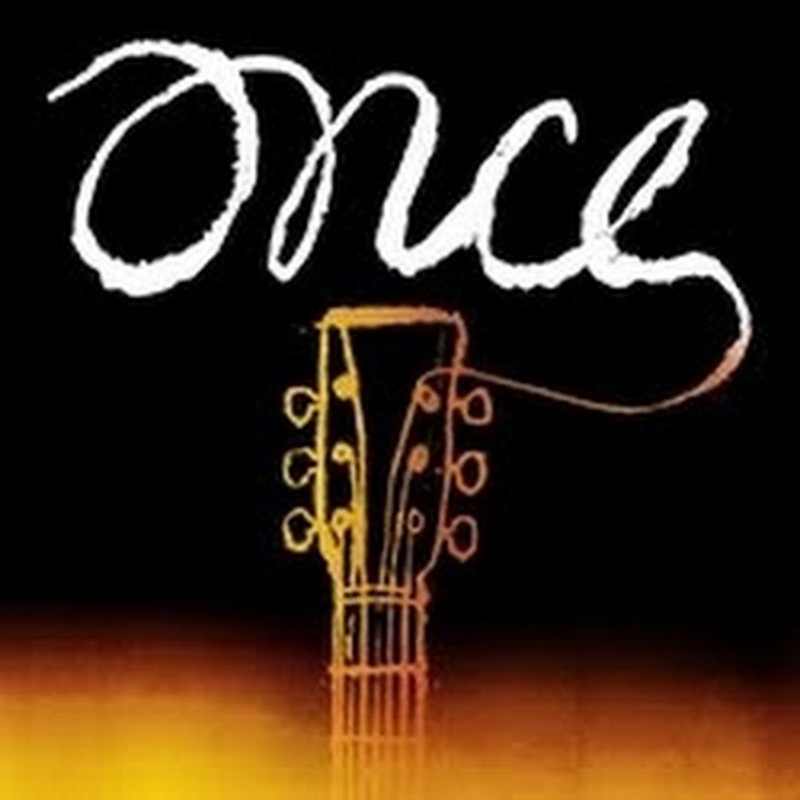 All Broadway worthy productions make good use of live music, but Once is one of the very few that incorporates the instrumentation into the actual stage performance. Such intimate moments of relationships, of family struggle, heartbreak, and triumph are all performed while playing instruments. During the parts of the show where the characters are listening to “Pre-Recorded” music, via radio or headphones, I found myself searching the stage for the one playing the actual instrument. This dynamic was something that I found to be truly creative and impressive. To be a triple threat on Broadway is supposedly difficult, but some say it is actually easy to find. You just have to look at any restaurant wait staff in New York City. But, try looking for an actor who can; sing, act, dance, and play an instrument at the same time. What is even more difficult, finding that actor / singer / dancer / instrumentalist and having an entire creative team agree on it. This adds to quality of talent that makes up the cast. Although the set appears minimal, with a simple bar and walls with antiqued mirrors, we are easily transported from location to location with beautifully choreographed set transitions. Phenomenal transitions between scenes were heightened with fast set changes, cool set pieces, musical distractions, and subtle light changes. In stark contrast to other large spectacular productions on Broadway, Once uses eloquent words to draw and keep the audience from looking away instead of flashy special effects. There was one “Special Effect” that was used that I did find interesting. The Czech family of Girl spoke in English, but creative team also chose to project the Slavic translations behind the bar. It was interesting to “see” the translations of the Czech family on the wall of the bar, in a reverse subtitle kind of way. Not only were we visually stimulated by the images of the foreign words flashing on the wall, but we also had fun trying to figure out which words went with each spoken word. I have never before been influenced so much by lighting in a show as I was in this one. Subtle changes created a visual cue, dictating the mood that matched the scripted words. While overlooking the city, sparkling lights appear forming the city skyline of Dublin, Ireland. The costume design was a little awkward due to the undefined time period or season in which the show takes place. It wasn’t until the nauseating twerking that I figured it was present day, either that or the girl had a serious medical problem onstage. The sound technician had the volume a tad low at times. I’m assuming the sound designer was trying to create a down-trodden mood to compliment the story. Maybe, had it not been the cold and flu season with many audience members struggling to unwrap cough drops at every single “down-trodden” moment, it would have been more effective. If you can, I encourage you to arrive early to this performance and become part of the bar patrons. You are given the opportunity to walk across the stage, order a drink from the bartender, and stand next to the chorus/band as they present a spirited pre-show. Each performer is highlighted and appears to be having the time of their life dancing, singing, and enjoy the intimate setting with patrons. I believe we all can relate to musicals, and we all depend on the emotional places that music and song lyrics can take us. In a recent conversation I had with Matt DeAngelis (Svec) he stated that “Once was not a musical, but a play with music.” I thought he was delusional, because how can the show be billed as a Tony Award Winning Musical and not be a musical. Damn it, he was right.